My latest project was adding a Polaroid back from an oscilloscope camera to my 3z4 Speed Graphic. The standard Polaroid only fits a 4x5 body but the 3x4 is more suitable for pack film. It has a Kodak Ektar 127 F4.7 lens and the viewfinder matches Polaroid format. I will post prints when I get them scanned. Thank you for the comments. I expect to use it over the weekend. Question for Mods; Are digital pictures of my Polaroid gear ok to put in my gallery? It sounds good. Accurate focus .Your smart and elegant conversion seems to be comfortable to use. The two ill-assorted pieces from two different brands seem to fit both amazigly well. facono a écrit : It sounds good. Accurate focus .Your smart and elegant conversion seems to be comfortable to use. The two ill-assorted pieces from two different brands seem to fit both amazigly well. They do go together but it took cutting and drilling the Speed Graphic rear plate and major surgery on the Polaroid. 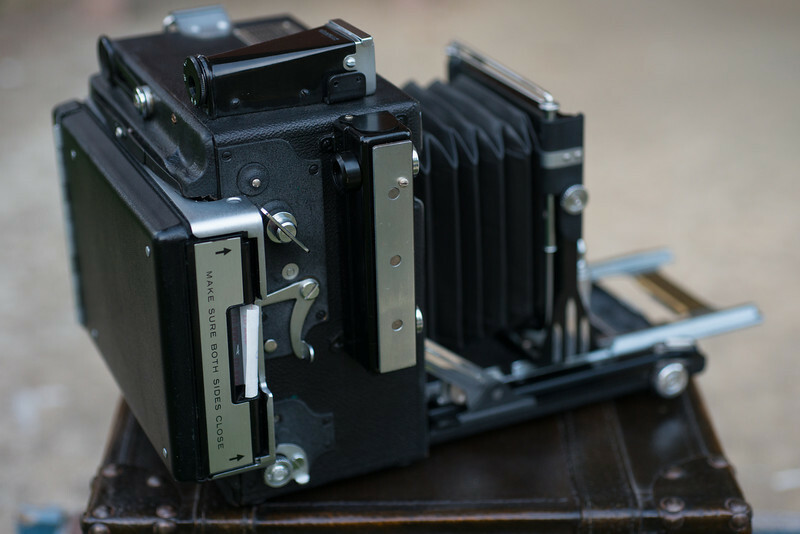 The conversion is not reversible but fortunately I had a rear plate off a beater camera so I did not damage this one as it was like new in the original Graflex box. Are the orders or function of focal plane shutter remains usable? consommable a écrit : Are the orders or function of focal plane shutter remains usable? No, I have it locked out. 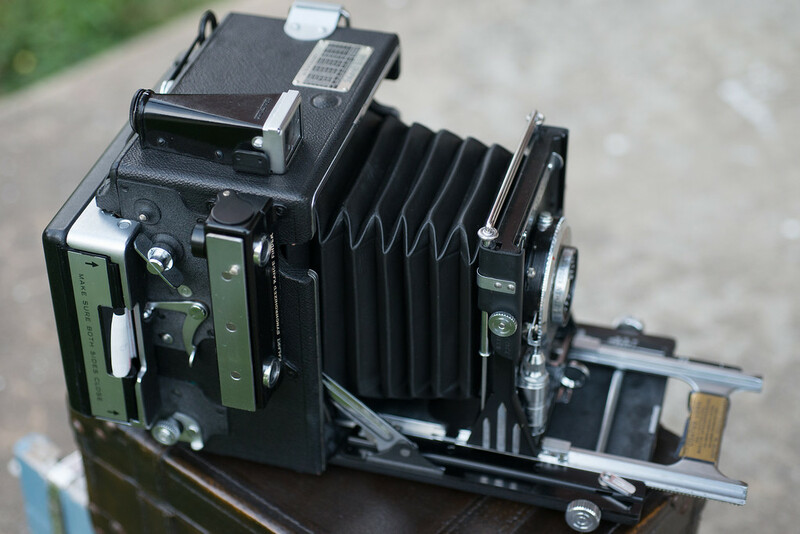 It is completely functional but since you cannot use the ground glass, I don't want it surprising me with black pictures.